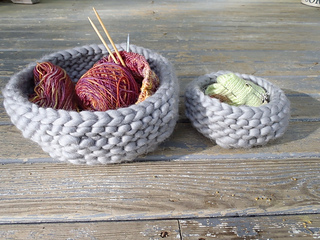 These bowls are knitted in the rounds in garter stitch with jumbo weight yarn. 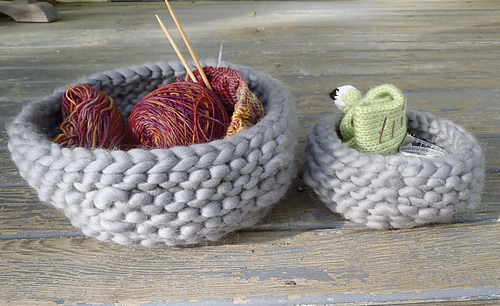 In just few hours you can knit up a great knitting bowl for yourself or a gift for anyone on your list. 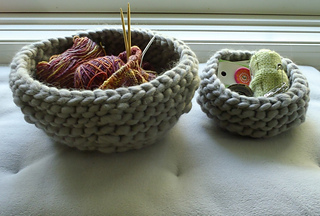 Small: 6.5” /16.5 cm diameter and 3” / 8 cm tall. 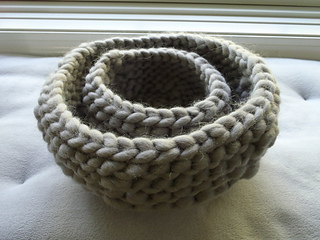 Large: 9”/ 23 cm diameter and 4.5”/ 11.5 cm tall.